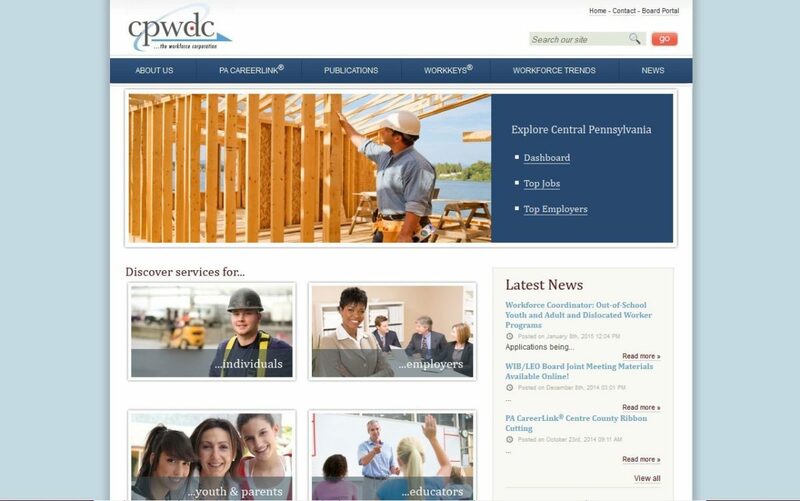 The CPWDC, a 501(c)3 non-profit organization, is the local Workforce Investment Board (WIB) for the Central Pennsylvania Region. The client asked us to redesign their website to transform it into a great resource for businesses. They also needed a CMS which would allow their staff to update all areas of their site and keep the content fresh.